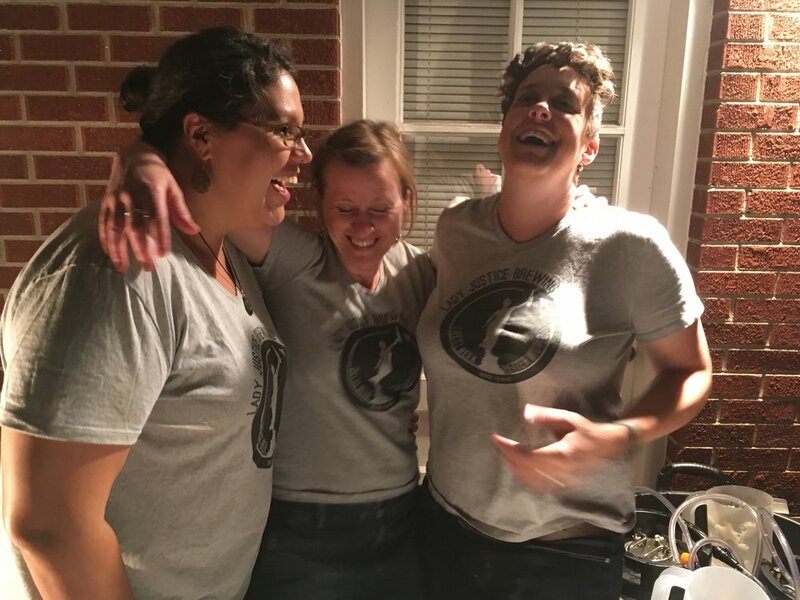 Lady Justice Brewing Company is co-founded by Kate Power, Betsy Lay and Jen Cuesta. We are three women who share two crucial connections. First, we share a commitment to social justice work and being a positive force in our communities. Second, we love good beer. During our time working together at a Colorado-based non-profit, we recognized the struggle that came with sustaining funding. After an extraordinarily challenging day of calling potential donors, Kate and Jen went to get some beers and thought about how great it would be if they could make money brewing beer and then use that money to help the community. That slightly tipsy idea was the catalyst for Lady Justice Brewing Company.